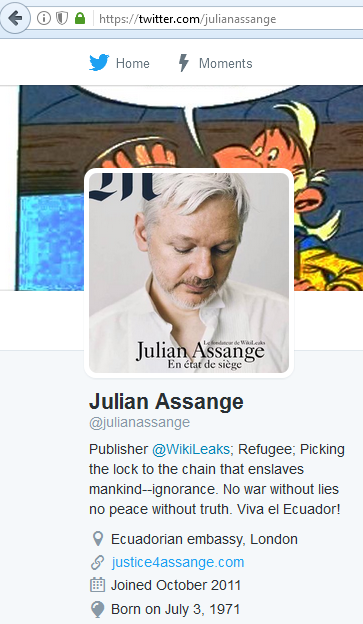 Julian Assange, the founder and publisher of WikiLeaks has finally Tweeted from his personal account. Assange actually signed up to Twitter on October 2011 but never sent his first Tweet until February 14, 2017. Whilst Julian is still an Australian Citizen – he has been seeking refuge in the Embassy of Ecuador in London since August 2012 due to several extradition requests and pending espionage and hacking charges.